Our Ambassadors are real IBRANCE® patients and caregivers offering support and encouragement to women with metastatic breast cancer (MBC)—as well as the people who care about them. See what IBRANCE Ambassadors are sharing about what they’ve learned, how they’re coping, and ways they’re managing life after diagnosis. To help you navigate life with MBC, sign up to talk with an IBRANCE Patient Ambassador or Caregiver Ambassador for encouragement, support, and understanding. The IBRANCE Ambassador Mentor Program offers women taking IBRANCE—or their caregivers—the opportunity to have private, one-on-one phone conversations with an ambassador to share personal stories and experiences. Click below to see the results. Kitty’s instinct was to conceal her MBC. But, through friends and coworkers, she discovered the benefits of sharing her diagnosis. “I’ve learned that bad news can be shared in a positive light.” Sadly, Kitty passed away from metastatic breast cancer on October 6, 2017. 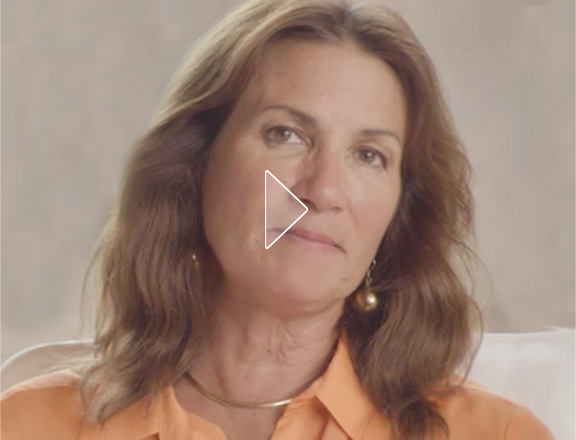 When Vicki’s mom, Tina, was diagnosed with metastatic breast cancer, both of their worlds were rocked. “When she is physically or emotionally hurting, I am hurting.” Over time, Vicki has found that working through her own anger and sadness is essential to being a good caregiver.